Visit the deal page to read full terms on the offer. Provide your holiday hungry friend with your booking reference. Ensure they give the reference number when booking. To receive the discount both holidays must occur in the same calendar year. Request the referrers booking reference ID. Be sure to mention this ID when booking your holiday. 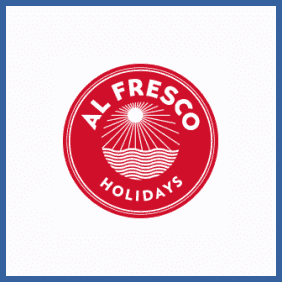 Had a lovely holiday with Alfresco Holidays? You can get £50 off your next one by referring a friend. While this can’t be combined with other offers (such as group discounts) it’s a great way of shaving a few quid off your travels for you and your referred pals.